It's time to just get out. So let’s say you aren’t exactly in Texas and you aren’t quite sure what makes toast Texan either. I’m here to tell you now that it doesn’t matter. This medley makes Iceland feel like Texas and will have you thinking everything (including your belly) is getting bigger with every bite. It may sound odd, but this combination of deli-sliced beef, thick bread, mustard, green peppers and a few seasonings creates quite good eats. We make this on our Camp Chef Cookstove. You don’t need a fire, perfect for pulling together when its getting late and you’re just getting your camp set-up for the weekend. Pull out your flat griddle and in a few minutes you’ll be chowing down. 1. Chop or slice green pepper in large pieces. 4. 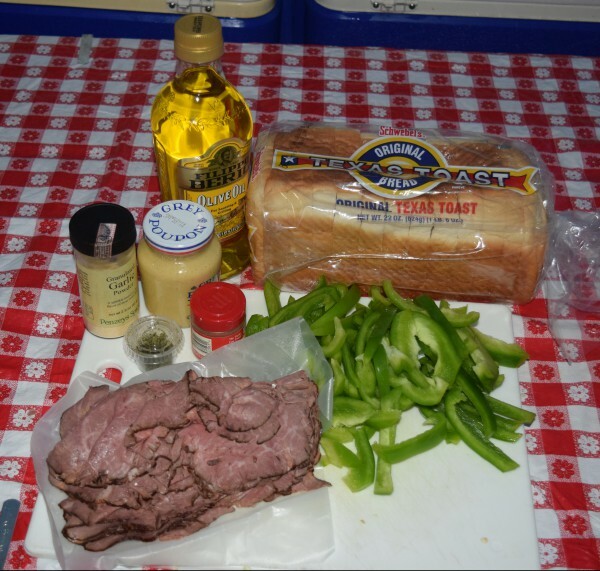 Put sliced roast beef on top of grilled bread; spoon pepper mixture over meat. To with second slice of toast. If using sandwich steaks, grill or sauté in butter before making sandwich. You’ll find your Yankee accent adopting a slow drawl and find yourself dreaming of some mighty fine cowboy boots with one bite.